Manford Way’s battle against relegation took another step in the right direction as they registered a 2-1 home win over Rayleigh Town, with Ruben Carvalho and Lee Lashley providing the goals. Dillon Southgate notched the Rayleigh reply. Sungate move out of the drop zone after a 2-1 win over Harold Wood Athletic, which means Great Baddow slip into the relegation zone after a 4-1 reverse at Canning Town. Sulaiman Massaquoi bagged a brace, with Dan Bonny and Fraser Ferguson also scoring. Leigh Ramblers beat local rivals Old Southendian 3-2 courtesy of goals from Justin Hazell, Luke Read and Andrew Webster, that cancelled out Nick Henesy’s brace for the visitors. Catholic United rifled seven past Springfield, with Aaron Baldwin’s brace being added to by Dan Trenkel, Jamie Salmon, Tom Hollingsworth, Simon Thomas and Tom Kearney. The 7-2 win sees Catholic United now up to sixth in the table, while Springfield end the day down in eleventh. A solitary goal by Sam Cole provided Bishop’s Stortford Swifts with a 1-0 win over Hutton which sees them remain fourth, having played more games than leaders Buckhurst Hill and second-placed Kelvedon Hatch who both didn’t play over the weekend. Shenfield AFC closed the gap on leaders Snaresbrook to a single point after a single goal was enough to overcome Herongate Athletic. Ben Absolon supplied the goal that keeps his side right on Snaresbrook’s tail. FC Hamlets beat Frenford Res. 7-0 with Charlie Heatley notching a hat-trick. Faron Smith added a double with John Gilroy and Ajibola Orilonishe also getting on the score sheet. FC Hamlets are now fifth, but have games in hand so are very much going into the business end of the season with promotion as a realistic target. Old Chelmsfordians on the other hand are targeting retaining their Division One status and that took a knock on Saturday as they were beaten 5-1 at home by Galleywood. The visitors scored their goals via Tom Lakin, Sean Lander, Jack Chatterway, Luke Osburne and Freddie Bartrum, while Martin Mixture bagged the OC’s consolation with the defeat keeping them in the relegation zone. Toby remain top of the table after a 10-1 win over Rochford Town. Des Gallen, Justin Clarke, Ryan Morgan and James Coleman all scored twice apiece, with Peter Spicer and Sam O’Sullivan also hitting the target. Lakeside played for almost an hour with ten men after Matt Bearman was shown the red card. Bearman had scored before he was dismissed, and then Ryan Budd, Luke Quinton and Drew Klessa-Smith added further goals in the 4-2 win over Shoebury Town. Harold Wood Athletic Res. beat Ryan 2-0 with Joe Pyne scoring both the goals; while Runwell Sports and Beacon Hill rovers shared a point each after their game ended goalless. Wakering Sports are up to second after a 3-0 away win at Laindon Orient. Conor O’Regan scored twice for Hutton Res. with Chris Skingley and Charlie Nichols also scoring in the 4-1 win over Old Chlemsfordians Res. The visitors scored their reply via Mikey Romaine. White Ensign Res. went in at half time against Roydon three goals to the good as Billy Diack, Perry Osbourne and Lewis Brown all unloaded. But two red cards saw White Ensign down to nine men and Roydon then scored twice through Darren Williams and Ezra Folan but White Ensign were able to hang on and claim the three points, having looked like they were home and dry after the opening 45 minutes. 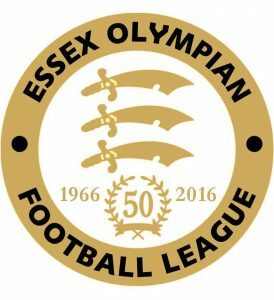 Three Olympian League teams made it into the semi final of the Essex Junior Cup, with Lakeside Res. the only team that fell away, losing 7-2 at Extreme United despite Carl Prendergast scoring both Lakeside’s goals. Westhamians beat Jolof Sports 2-1 with Ben Jones and Lewis Lawrence providing the goals. Jack Edwards, George Darby and Rhys Mosedale were the Old Southendian Res. scorers in a 3-1 win over Brentwood United; while Old Southendian Res. scored three without reply against Stanway Pegasus with Andy Turner scoring twice with Nick Cardosi the other scorer. Ongar Jubilee U21s came through a cracking contest with Leytonstone United U21s that went into extra time before a winner could be found. 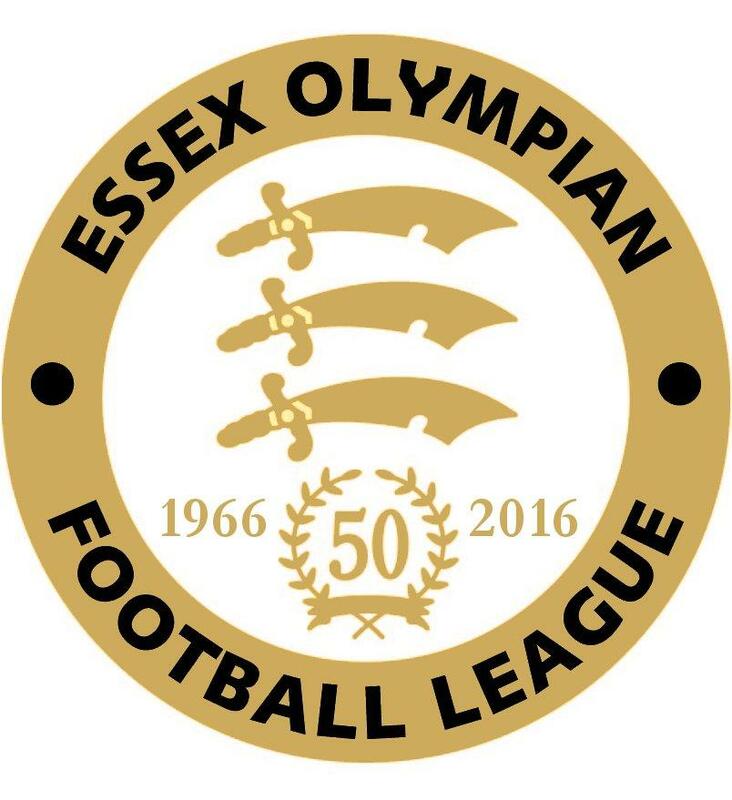 It will be Ongar Jubilee that went on to win the game 7-5 with Aaron Blair, the U21 Division’s top scorer, firing a hat-trick. Ossie Nyahunda scored twice, with the scoring being completed by Jack Zielinski and Eufrause Cabulo. Ongar Town v Rayleigh Town Res. Academy Soccer v White Ensign Res. Laindon Orient v Hutton Res. Leigh Town v Basildon Town Res. Roydon v Old Chelmsfordians Res.